i understand that those resistors are only good and necessary for a direct connection between a 16n in master mode and an er-301. flexible enough, so i could use it either in master mode with only the er-301 or as a follower of the teletype. did i got that right? I’m not sure it is ‘advisable’ for a highly ‘maybe’ situation for many users. I2C isn’t really meant to be a consumer-facing protocol, and the issue around pull-ups slightly illustrates this. I don’t think a switch for the I2C pullups makes much sense given it’s not a change one would make frequently, nor a change you should be able to make ‘hot’. Bypass solderpads on the board would be easier to bridge/break than adding/removing the resistors, but I think that’s as far as I’d consider going in terms of ‘convenience’. I will also be honest and say that the audience for ‘swapping between I2C leader/follower behaviour on a regular basis’ is, IMHO, small. But: the product is open source. If you want to redesign it to accommodate this change, forks are possible, and the main project welcomes pull requests. i absolutely agree! and i didn’t meant that ‘advisable’ would apply to anybody but to my personal use case (and maybe some other rare cases). you’re surely right with your assessment as far as it goes for the overall audience of I2C. my unarguably rare situation is that my system consists of several cases, each usefull on its own. and ‘maybe’ some fine day i will follow the advice that i was given on the OD-forum and i’ll pick up a teletype and put it in a specialized case. and whenever i will leave for my friends home i’d like to choose between leaders/followers, so i can take the faderbank with every combination of the cases and with the less fuss possible. and then i still might be wrong. i appreciate your honesty, also on the I2C being some circuitry esoteric protocol! perhaps I overreacted! I wouldn’t call it a poor choice of words; just not a mainstream case (imvho) for the object. I2C straddles a line between being ‘circuity’ and not - it’s a very good map to, say, a permanently wired ribbon cable inside a Euro case - connectable, but not hot-swappable and a fairly stable environment. The TRS jack helps us get it out of the case, but implies a flexibility it doesn’t really have! I’m glad you’re excited about the 16n, though, and feedback is always good. Can anyone walk me through the steps of updating my 16n firmware to put it into master mode? I did the Teensyduino install. in the arduino program I searched for the “ResponsiveAnalogRead” and “CD74HC4067” libraries and installed them. I set the USB type set to Serial+MIDI and board speed to 120mhz (overclock). I opened the _16n_faderbank_firmware file in the arduino program and did Verify/Compile. It showed no errors so I hit Upload and it said upload complete. But now when I plug it in I get no midi out of it. The midi menu in Ableton Live sees that it is there but receives no midi from the 16n. i’ve broken so many PCB-mounted USB jacks. nasty point of failure for many nice objects. This definitely triggered some flash backs. I’m sorry! So this MASTER flag is only for i2c Leader mode. I dont think it has anything to do with MIDI out. Right out of the box (as you’ve compiled it) 16n should send usbmidi. So I did a quick looksee in Ableton - I’m not sure why, but you have to toggle “Remote” to on for 16n in the MIDI preferences. Yeah it was sending midi before I tried to update the firmware. I have no idea what my problem is. I ordered a new teensy so I’ll desolder the busted one and start over. So sad that I destroyed @infovore’s beautiful work. I had to cancel a performance due to breaking a PCB mounted mini-USB jack during setup. I feel your pain! that happened like 7 years ago, but for some reason I was just thinking of it around the time yours must’ve broken…as if millions of USB ports suddenly cried out in terror and were suddenly silenced. oh no. I am so sorry! gosh, I’m so sorry to hear this. 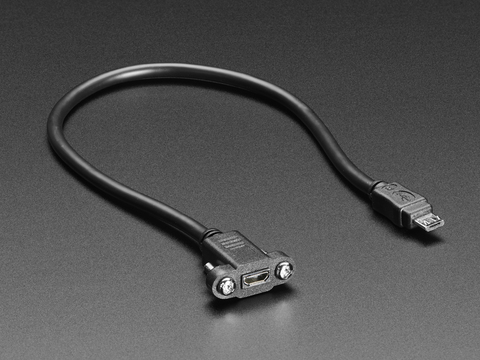 Are there break-away jacks or cable ends we can start to advocate whenever these sorts of delicate ports are involved? I recall the Beatstep Pro users having this discussion. I haven’t build a 16n myself, I assume there isn’t enough vertical space to socket the Teensy with pin headers? 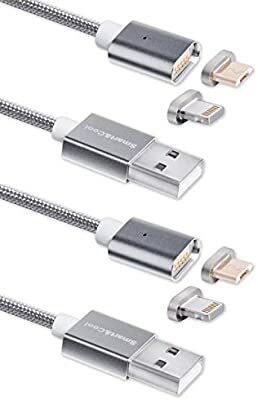 I did some amazon searching last night on Right Angle micro USB cables/adapters. Seems like that could help avoid damage from a fall like this?